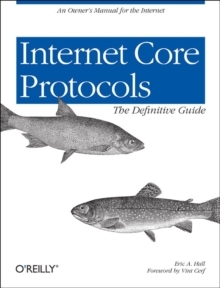 This work provides the nitty-gritty details of TCP, IP and UDP. It shows that many network problems with protocols can be debugged by working at the lowest levels (looking at all the bits and travelling back and forth on the wire). The guide explains what those bits are and how to interpret them. A CD-ROM is included with the book; it contains Shomiti's "Surveyor Lite", a packet analyzer that runs on Win32 systems, plus the original RFCs, for reference. Together, this package includes all that system and network administrators should need to troubleshoot their networks.